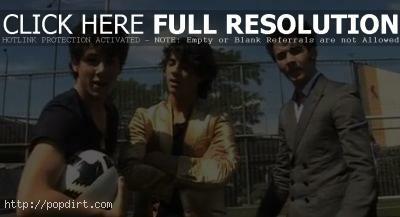 The Jonas Brothers challenged Her Majesty The Queen to a game of soccer during their visit to England. The Queen didn’t bring a team, but was up for challenging all three brothers and their bodyguard Big Rob on the pitch. Watch how she did below. I really wanted to sing. Please e-mail me and I won’t let you down.